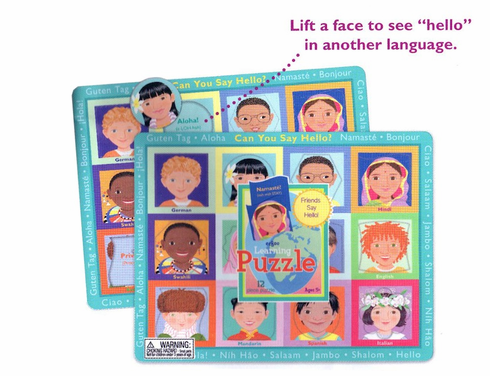 Lift a face to see "hello" in another language. Contains 12 pieces and is made from sturdy durable board. Measures 15" x 11.5"